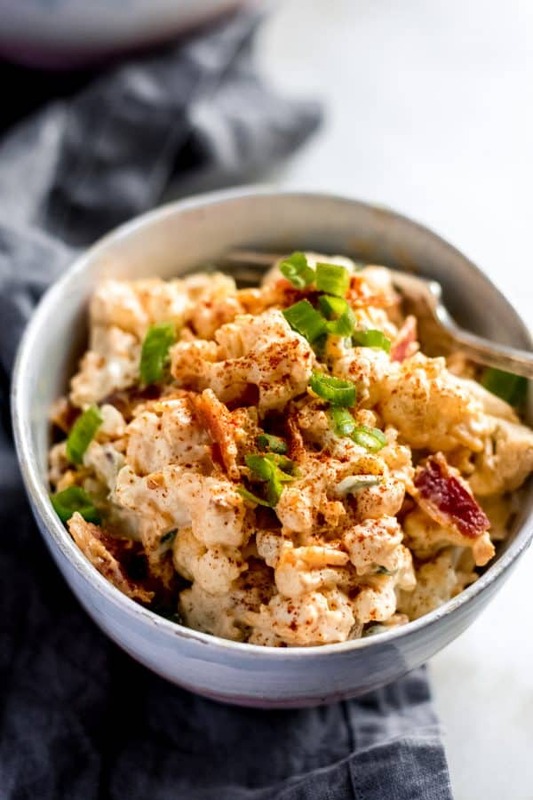 We bring you: Keto Loaded Cauliflower Salad! This salad is not only delicious, but super simple to put together. Complete with sharp cheddar cheese and some hot sauce, this savory dish will provide a healthy serving of veggies without sacrificing a single drop of taste. In fact, it’s SO tasty that you will be reaching for seconds! We all know how important vegetables are. One of the easiest ways to be sure we get all of the servings we need is through salads. But, let’s face it. The average salad can get a biiiiiiit boring! So, why not put a fun twist on the typical lettuce-filled dish and use a different vegetable for the base?! We decided to swap out the greens for cauliflower, one of our favorite healthy, multi-purpose vegetables. Plus, to make it even better, this salad includes bacon. How can you turn down a salad that includes bacon? That’s right, you can’t! This salad is not only delicious, but super simple to put together. Complete with sharp cheddar cheese and some hot sauce, this savory dish will provide a healthy serving of veggies without sacrificing a single drop of taste. In fact, it’s SO tasty that you will be reaching for seconds. Super quick to whip up, this dish doesn’t take any more than 35 minutes, including the time it takes to cook the bacon. 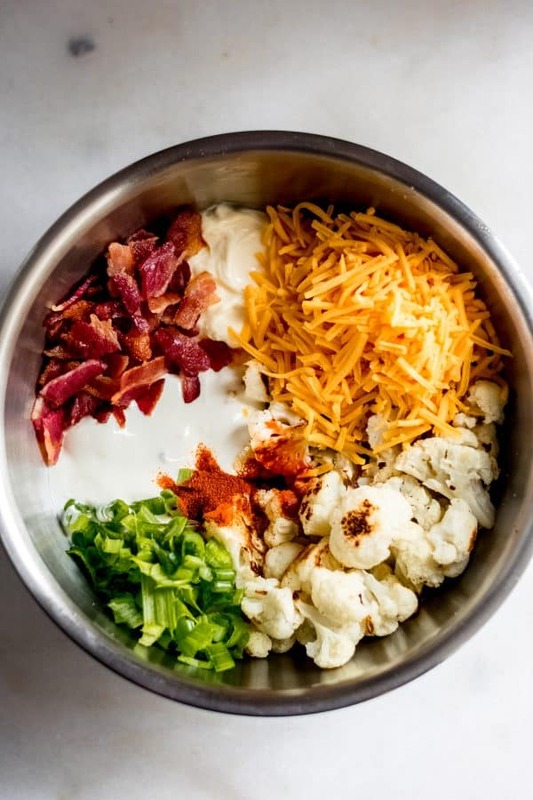 This loaded cauliflower salad recipe yields 6 servings, making it awesome for weekly meal prep or dinner with guests! One of my favorite parts about this salad is that cauliflower is so full of nutrients. A great benefit of this veggie is that it helps activate the body’s detoxification system through the presence of glucosinolates. Full of fiber, just one cup of cauliflower supplies 10% of the recommended daily intake. It also contains Vitamin C, a huge proponent in fighting sickness! This may come as a surprise to some, but hot sauce is absolutely loaded with benefits too! Like cauliflower, it is high in Vitamin C and antioxidants, which helps to keep the body healthy. Not yet sold? Well, on top of that, hot sauce curbs appetite decreases inflammation, AND relieves joint pain! Who knew?! There is absolutely no need to skimp on taste and flavor when following a diet regimen. 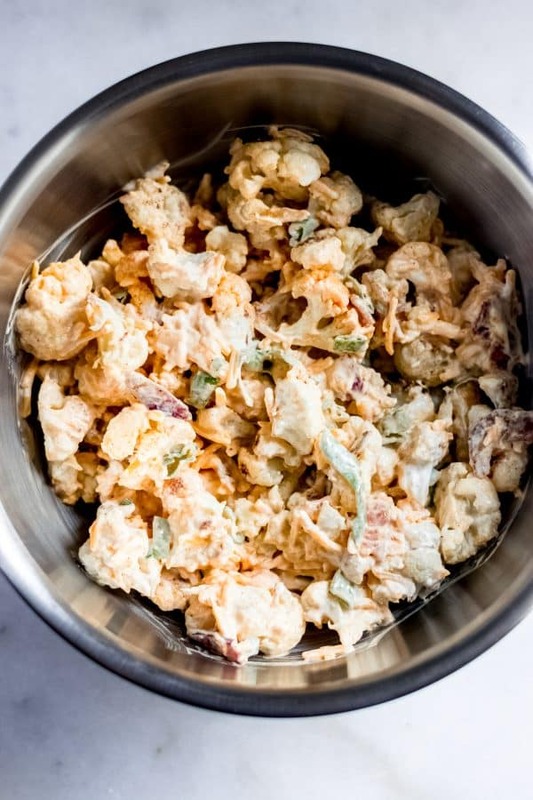 Totally free of eggs, nuts, and sugar, this fully loaded cauliflower salad is perfect for those following a keto diet! Additionally, it is a super satisfying and filling dish. It’s a win-win! Not only does this loaded salad follow rules for a keto-diet, but it is also great for those following a low-carb regimen! When it comes to net carbs, one cup of cauliflower only contains about 3 (yes, 3!). Once the salad is prepared, one serving contains only 4.7 grams of net carbs. Not bad, huh?! Aside from its keto and low-carb qualifications, another benefit of this dish is that the recipe is super budget-friendly. A lot of the ingredients are items that you probably already have on hand, such as the spices and hot sauce. And, if you’re like me, you are DEFINITELY already well stocked on bacon! 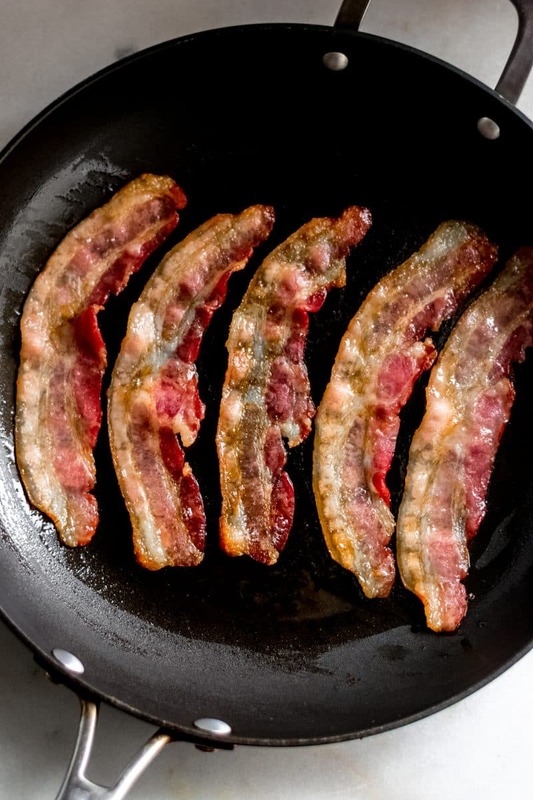 Transfer cooked bacon to a paper towel-lined plate to de-grease. 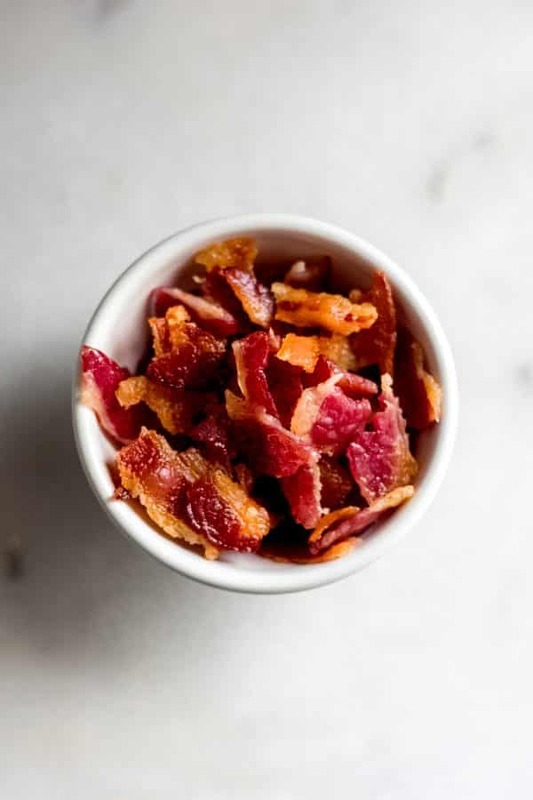 Once cool, crumble bacon and set aside. In a mixing bowl, stir together cauliflower florets, avocado oil, minced garlic, pepper, and salt. Pour cauliflower onto the prepared baking sheet and bake until lightly golden, about 15-20 minutes. Remove from oven and allow cauliflower to cool completely. 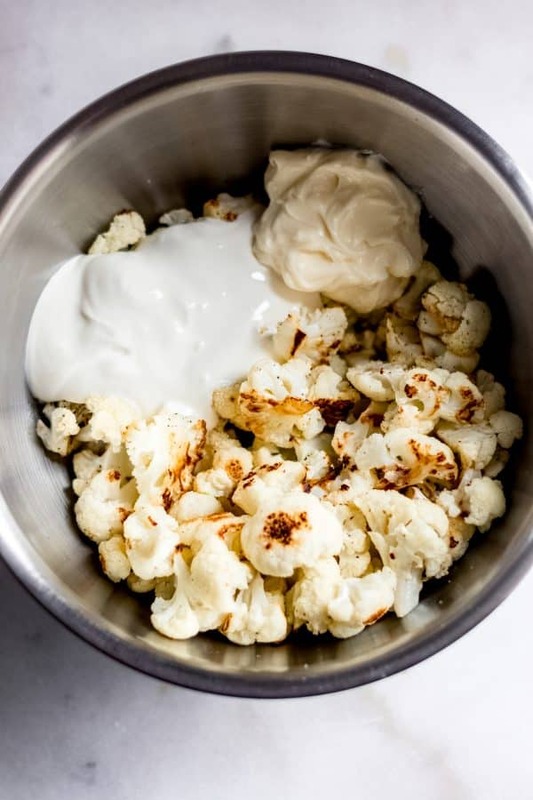 In a mixing bowl, stir together cooled baked cauliflower, sour cream, and mayonnaise. Add crumbled bacon, shredded cheddar, ¼ cup chopped green onions, hot sauce, and ⅛ tsp paprika. Fold the ingredients above and chill in refrigerator for at least 2 hours prior to serving. Garnish with remaining chopped green onions and paprika. Serve chilled and enjoy! 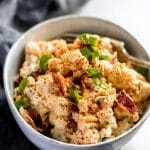 Low Carb and Keto: This fully loaded cauliflower salad is completely keto compliant. It is also great for low-carb diets. 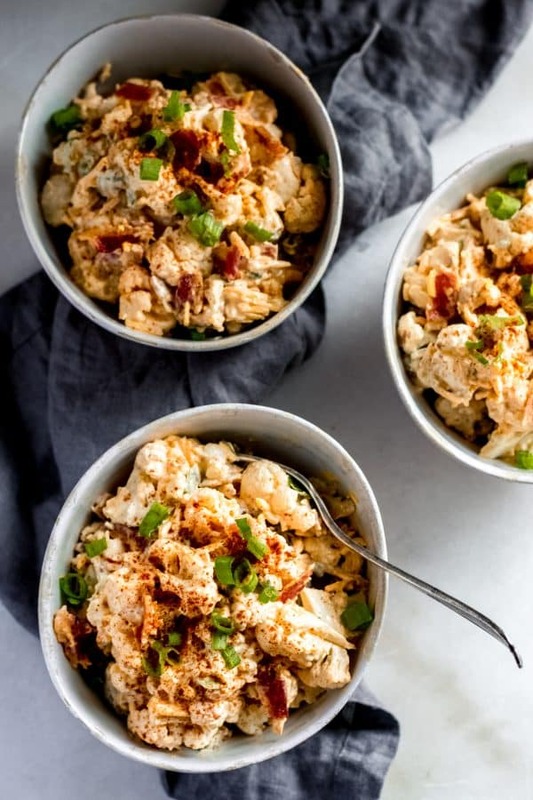 Egg Free: This keto loaded cauliflower salad is free of eggs. Nut Free: Totally nut-free, this salad is safe to consume for those with nut allergies or nut intolerances. Coconut Free: This recipe is free of any coconut. Sugar Free: No added sugars OR sweeteners are used in this dish. Awesome for a bunch of diet styles! 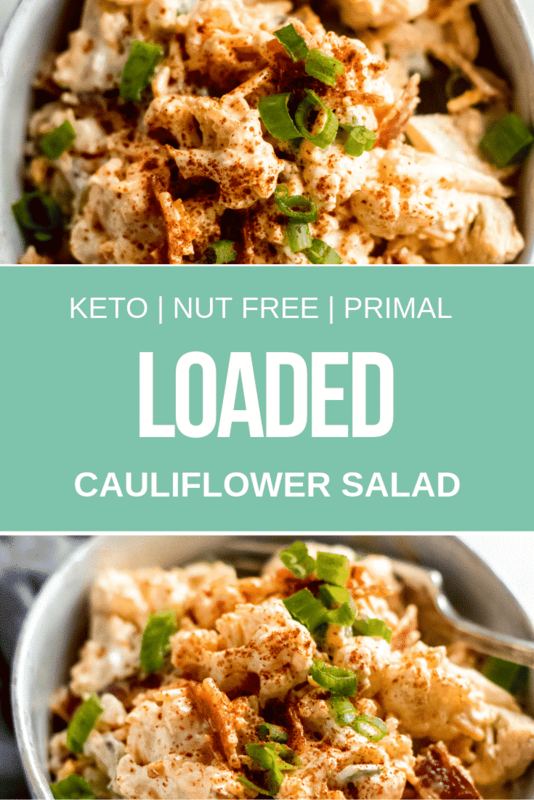 This keto loaded cauliflower salad is so very tasty and absolutely PERFECT for a bunch of different diet types! 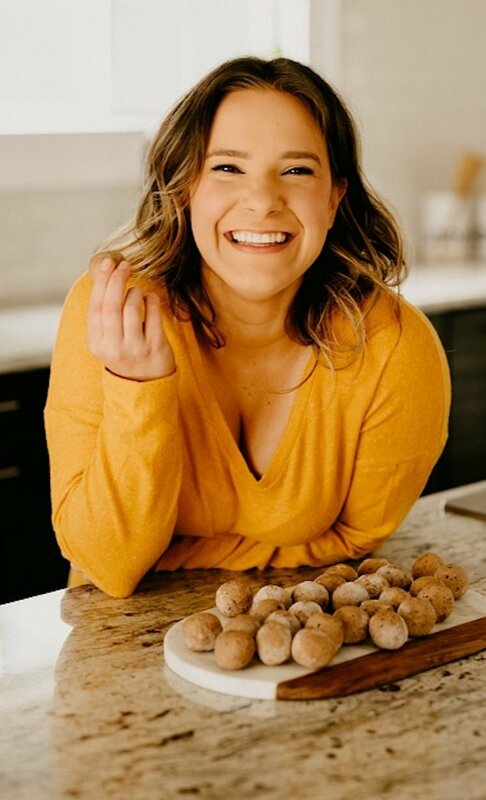 Not only is it keto and low-carb as we discussed above, but it is also egg-free, nut-free, and coconut-free. PLUS, it does not contain any added sugar or sweeteners! 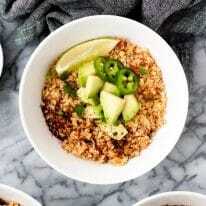 If you love the benefits and taste of cauliflower as much as me and want some other fun ways to incorporate it into your diet, I have some amazingly yummy recipes for you to try out! 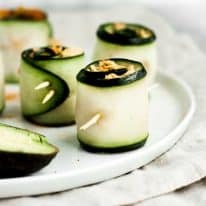 Looking for other keto recipes? Find all Real Balanced keto recipes here! Are you looking for a healthy low carb cauliflower recipe? This loaded cauliflower salad is so delicious and easy to make! 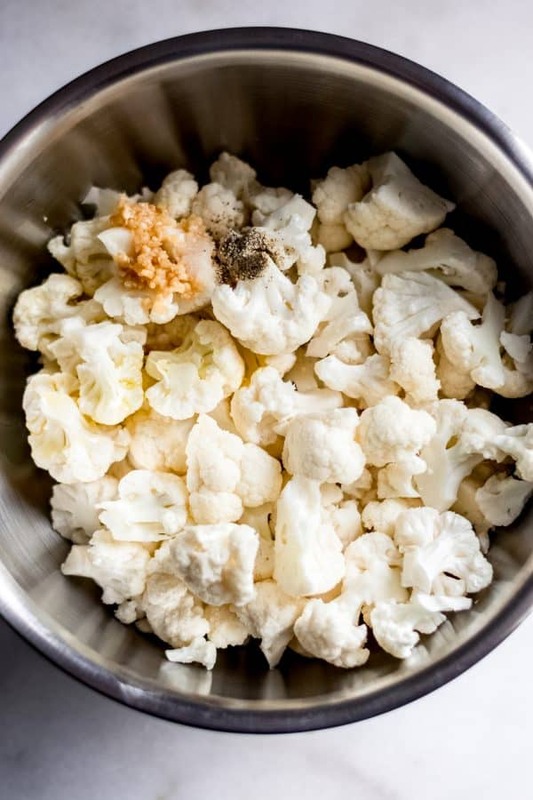 It is the perfect cauliflower recipe for those following keto, low carb, primal diets or looking for keto nut free recipes! In a large skillet over medium heat, cook bacon until crisp. Transfer cooked bacon to a paper towel-lined plate to de-grease. Once cool, crumble bacon. Set aside. In a mixing bowl, stir together cauliflower florets, avocado oil, minced garlic, pepper, and salt. 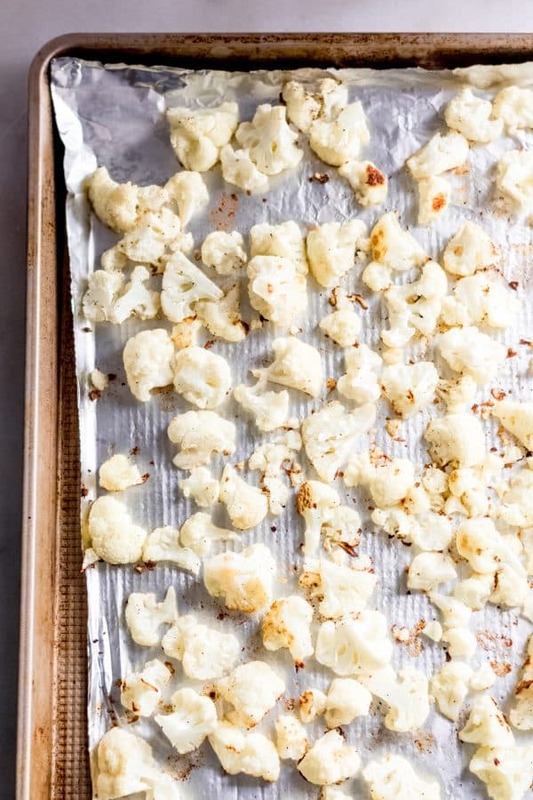 Pour cauliflower onto prepared baking sheet and bake until lightly golden, about 15-20 minutes. Remove from oven and allow cauliflower to cool completely. In a mixing bowl, stir together cooled baked cauliflower, sour cream, and mayonnaise. Fold in crumbled bacon, shredded cheddar, ¼ cup chopped green onions, hot sauce, and ⅛ tsp paprika. Chill in refrigerator for at least 2 hours prior to serving. My family loves loaded broccoli, so we will need to try this out! It’s so yummy!!! Thanks, Karly!